Yennurajalingam Set al. 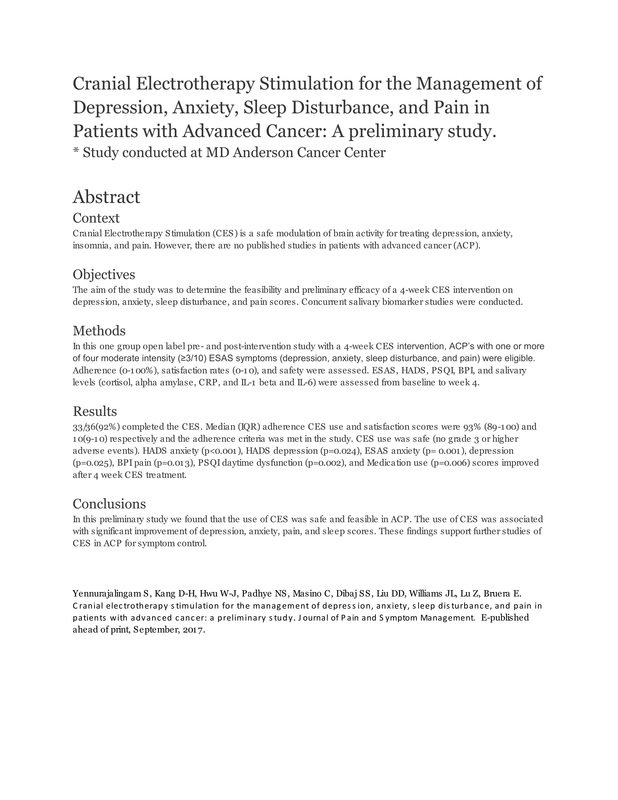 Cranial electrotherapy stimulation for the management of depression, anxiety, sleep disturbance, and pain in patients with advanced cancer: a preliminary study. Journal of Pain and Symptom Management. 2018, 55(2): 198–206. O’Hara C and Putnam H. Sleep: the missing link. 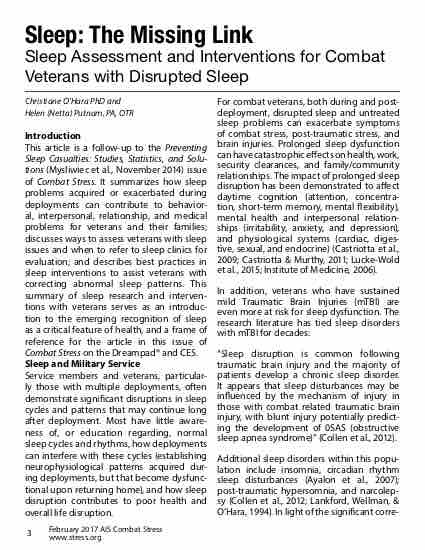 Sleep assessment and interventions for combat veterans with disrupted sleep. Combat Stress; 2017, 6(1): 3-18. Libretto S, Hilton L, Gordon S, and Zhang W. Effects of Integrative PTSD Treatment in a Military Health Setting. Energy Psychology. 2015; 7(2):33-44.